Let us calm your nerves and manage your tax issues. We communicate with the IRS directly so you don’t have to. Gain insight into your tax situation with our tax analysis report. The IRS allows qualified individuals to negotiate a settlement amount on the total amount of tax owed. While these offers can be helpful, they are not a guarantee and require the right approach to ensuring the best possible outcome. In recent years the IRS has accepted about 25% of OIC requests, yet at True Resolve our acceptance rate with the IRS is over 95%. Why are we so successful? We conduct a thorough pre-qualification with our clients and are upfront and honest with realistic expectations. The Offer in Compromise program is one of the most intricate and complicated opportunities available to individuals through the IRS. Call us today for an initial, no obligation consultation with one of our licensed OIC specialists. Don’t be fooled by misleading advertising promising ‘pennies on the dollar’ for your IRS settlement. Trust the experts at True Resolve to properly pre-qualify you, then let us handle your IRS negotiation with confidence. Is an Installment Plan the right choice for me? While an Offer in Compromise isn’t the best solution for everyone, the IRS does allow an individual to set up installment payments if you are unable to pay your tax burden in full. The IRS does assess penalties and interest charges, so it is imperative to negotiate an installment agreement that is fair to you. That’s where True Resolve steps in. The IRS wants to collect as much of the tax delinquency as fast as they can, and they’ll use whatever means necessary. True Resolve has a team of experts dedicated to making sure you have entered into an installment agreement that is fair and balanced for you. After we’ve done all we can to reduce your tax burden, let us help you negotiate a payment plan that is in your best interest. When I started working with Amanda and her team, I had been getting levied by the IRS for several months. I had hired another company prior to speaking with True Resolve, and they took my money, did nothing and I still got levied. Within a week my levy was stopped and we worked on getting a payment plan in place. I owe the IRS almost $50,000 and am making payments that I can afford which I did not think was ever going to happen. I am also staying up with my taxes for this year so I don’t fall behind again thanks to the team at True Resolve. They have been very helpful and are so prompt in responding when I email or leave a voicemail. I have referred several of my friends dealing with tax issues over to them knowing they will be well taken care of and have their matters dealt with and not be scamm. 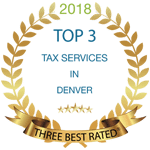 True Resolve Tax Professionals was the second tax company I had hired to help with my tax problem. I had some large balances from when I was young and making really good money. Since then, my income has gone down and I could not afford to pay the IRS. I owed them over $52,000.00 and with the help of Amanda and her team, I was able to settle my tax bill through an Offer in Compromise and pay the IRS $4,825.00. Invest in peace of mind. Gain the insights needed to understanding your options. See if you can qualify for an offer in compromise. Complete the following form. DISCLAIMER: This pre-qualifier tool is designed to be informational only, and when used alone does not constitute professional tax advice. True Resolve Tax Professionals, LLC is not responsible for any actions taken in reliance upon or as a result of the information provided by this tool. This qualifier cannot be used as an assurance or guarantee of future Offer in Compromise acceptance. Consult with a licensed tax professional before filing an Offer in Compromise.